Image Credit: NASA, ESA, and A. Riess (STScI/JHU) et al. 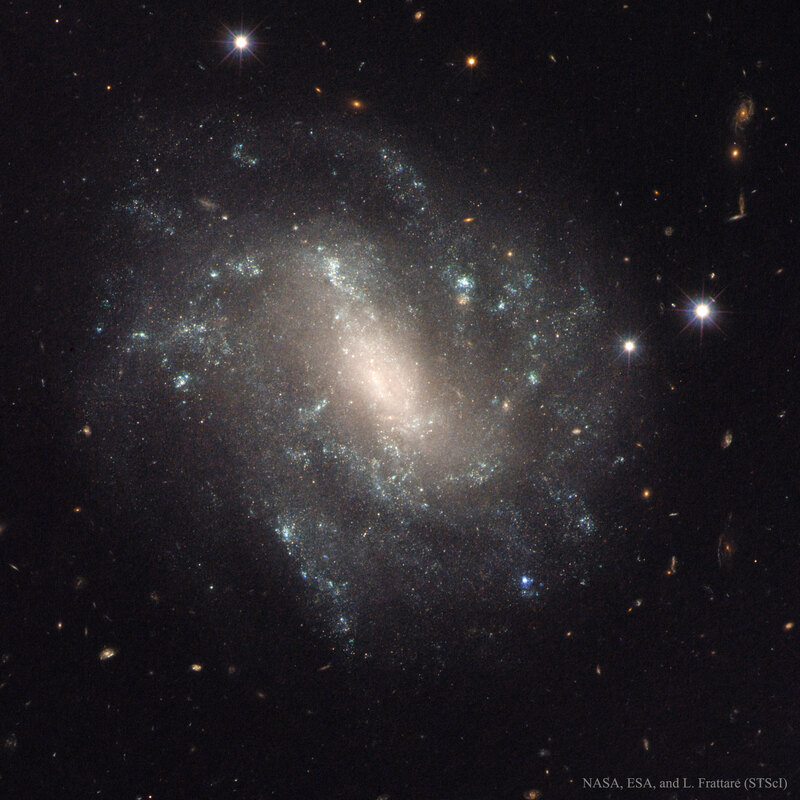 Explanation: What can this galaxy tell us about the expansion rate of the universe? Perhaps a lot because UGC 9391, featured, not only contains Cepheid variable stars (red circles) but also a recent Type Ia supernova (blue X). Both types of objects have standard brightnesses, with Cepheids typically being seen relatively nearby, while supernovae are seen much farther away. Therefore, this spiral is important because it allows a calibration between the near and distant parts of our universe. Unexpectedly, a recent analysis of new Hubble data from UGC 9391 and several similar galaxies has bolstered previous indications that Cepheids and supernovae are expanding with the universe slightly faster than expected from expansion measurements of the early universe. Given the multiple successes of early universe concordance cosmology, astrophysicists are now vigorously speculating about possible reasons for this discrepancy. Candidate explanations range from the sensational, such as the inclusion of unusual cosmological components types such as phantom energy and dark radiation, to the mundane, including statistical flukes and underestimated sources of systematic errors. Numerous future observations are being planned to help resolve the conundrum.